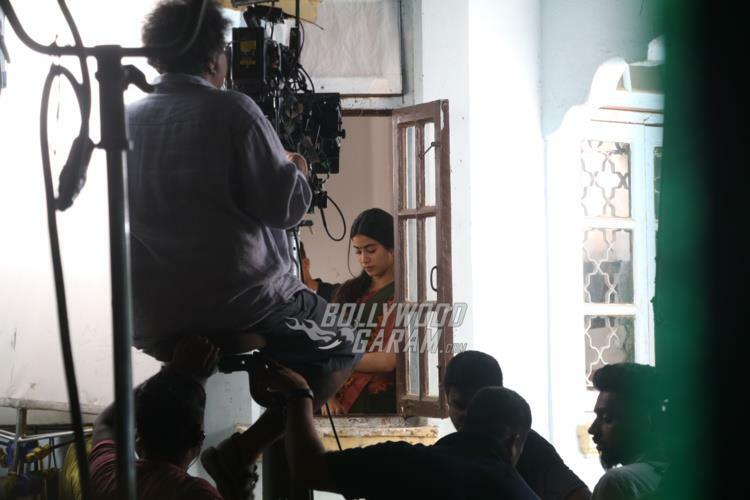 After the untimely demise of Sridevi, daughter Janhvi Kapoor is back to work. 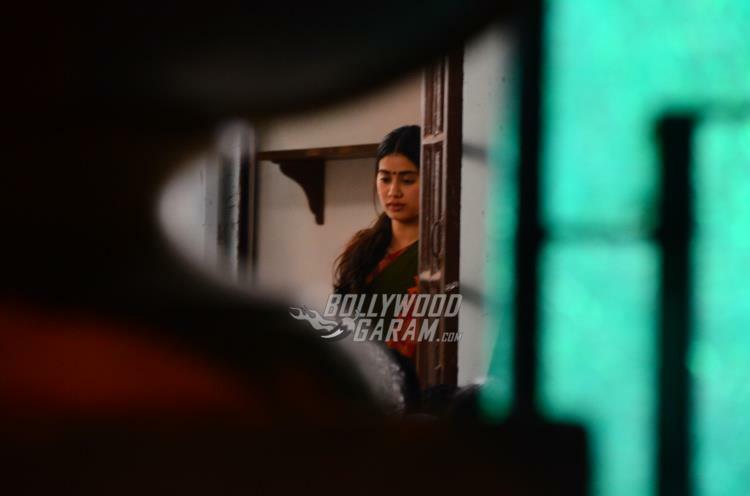 The debutant was snapped on the shoot sets and was seen in a simple sari. Janhvi while in her character had striking similarities with her mother Sridevi, from her film English Vinglish. 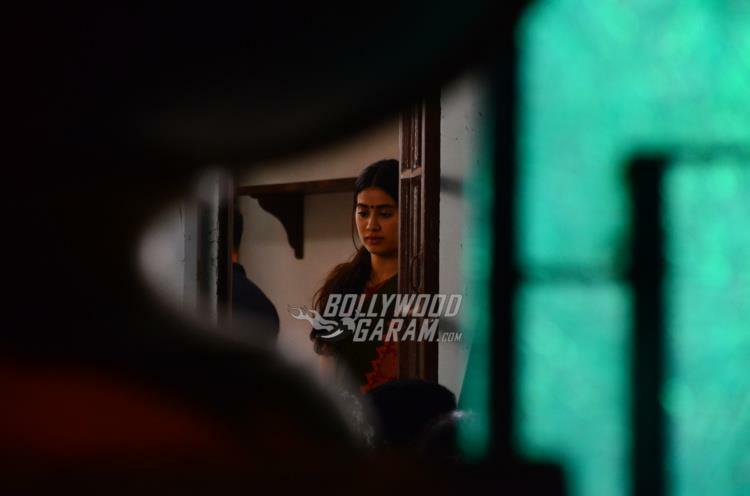 The debutant was seen standing by the window wearing a cotton sari with a bindi on her forehead. 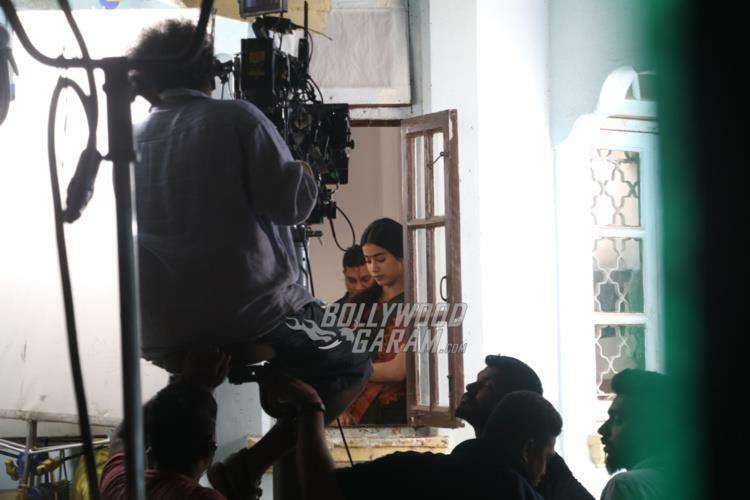 After the demise of Sridevi, producer of Dhadak, Karan Johar is making sure that Janhvi Kapoor is comfortable when it comes to the shoot of the flick as he knows it is too soon for the young girl to begin work. 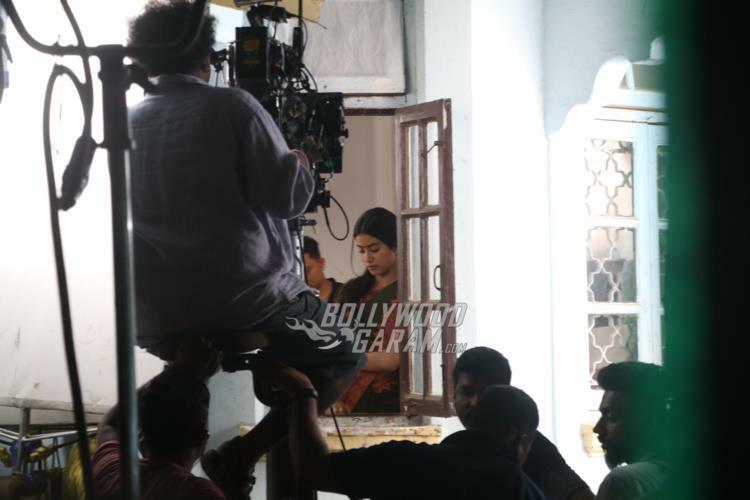 The producer has also instructed the team to take it easy on Janhvi. 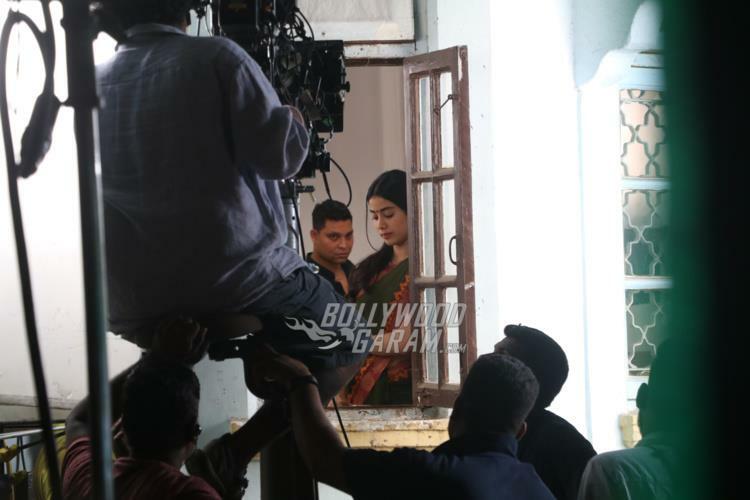 Reports say that Karan was close to Sridevi and he is also close to daughters Janhvi and Khushi and that he understands that it will not be easy for Janhvi to get back to work. 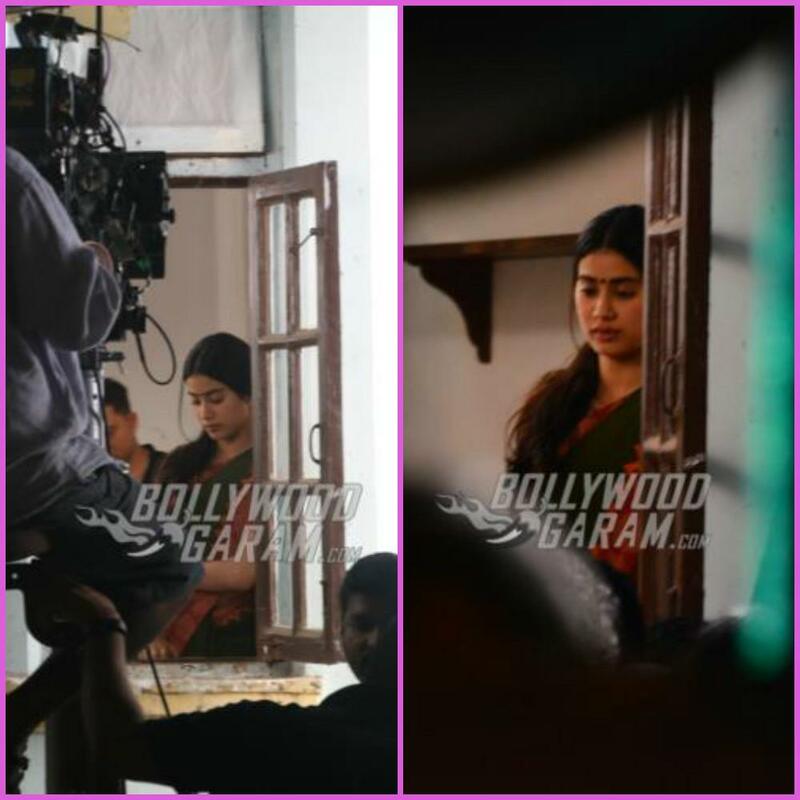 The upcoming film Dhadak also stars Ishaan Khatter and is directed by Shashank Khaitan. 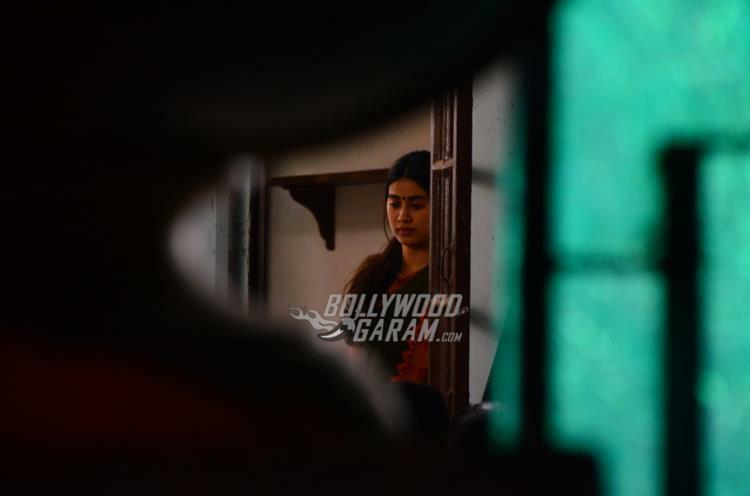 Dhadak will be released in theatres on July 20, 2018.